If it’s broke, fix it! 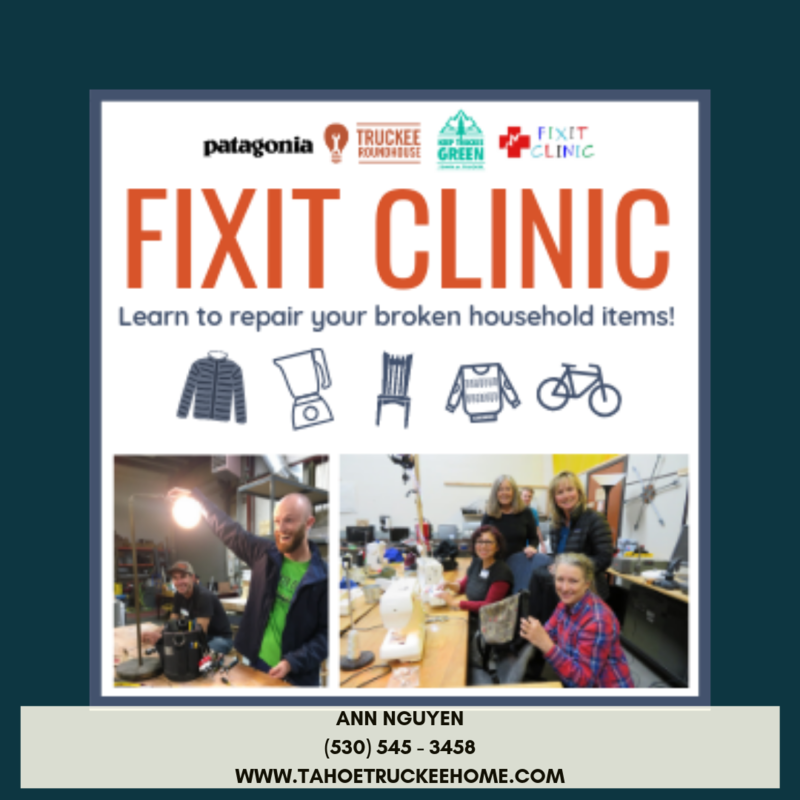 Dust off those broken household items you’ve been meaning to repair and join us for an evening of fixing! Bring your broken electronics, furniture, clothing, textiles, and more. Fixit Coaches will be on hand to assist you in the repair process. PLUS! Patagonia’s repair team will be attending to patch, hem, and stitch your well-worn outdoor gear! Bring in your puffy jackets, packs, and gear from any brand! All tools provided by Truckee Roundhouse. All ages are welcome and snacks will be provided! Are you skilled in electrical, wood-working, textiles, or just an all-around handy-person? Interested in volunteering as a Fixit Coach? Contact mconti@townoftruckee.com.